Fabulous Manoa location to build one or possibly two detached homes (potential to create 2 saleable entities by way of CPR). At the end of a quiet cul de sac, you'll enjoy peace and quiet with next to no city or traffic noises. Mature avocado, banana, passion fruit & an abundance of tropical plants & flowers on site. Existing structure is a workshop built with permits. Original building plans to go to new owner. Borders state preservation land for added enjoyment. 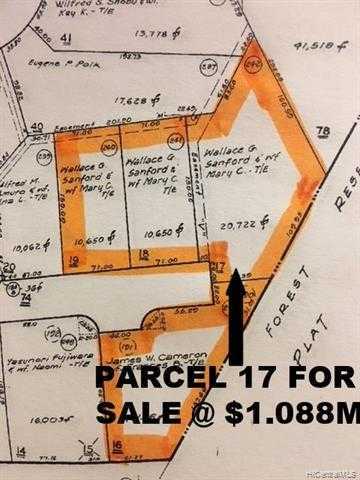 Build your estate here! About 6 miles to the beaches of Waikiki. Less than a mile to University of Hawaii. Please, send me more information on this property: MLS# 201904086 – $1,088,000 – 3698 Woodlawn Terrace Place, Honolulu, HI.